Hey, That's My Fish! – Games for Android 2018. Hey, That's My Fish! – Stuff the penguin with fish. Review Hey, That's My Fish! In front of you is a very fun puzzle game - Hey, That's My Fish! This game is for those who do not like to play alone, as you can play it with your friends. It can be from one to three people (although it will have to choose one's smart phone). Well, if they did not have a number, then as the enemy choose Android. 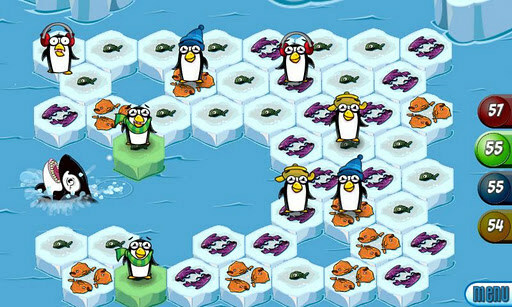 The meaning of the game is that you need to manage a couple of penguins, who walk the hexagonal piece of ice in search of food. On each of the ice can be from one to three fish. 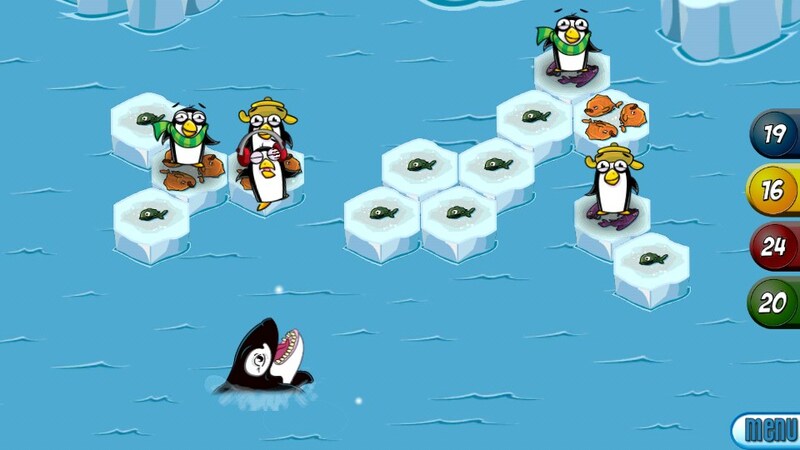 The more you collect fishes at the time, as your last penguin eat whale, the more comp points will earn. However, no matter what the score, if as a result you were not the first. To start, select a penguin, you are going to walk. At this time, the ice will be highlighted hexagonal cells that are allowed to pass. After the penguin gets to its destination, the cell where he was before, beneath the sea. It is not difficult to guess that with every move floe is getting smaller and smaller. If it turns out that the penguin is no place to go, it falls under the last cell, and he goes into the mouth of killer whale. The same feature can be used to advantage. Enough to walk next to the enemy, to cut off his sunken cells of the total ice. 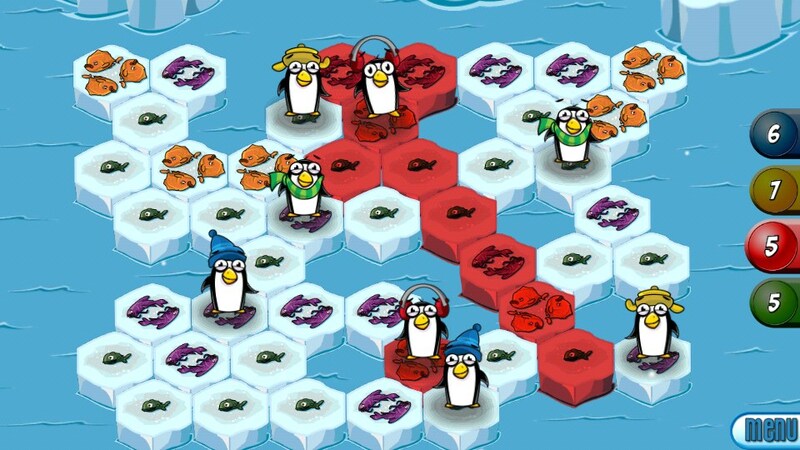 Of course, the enemy at that time, too, does not sleep and just trying to cut off your penguin of the total ice to them after a couple of moves to regale black beast. 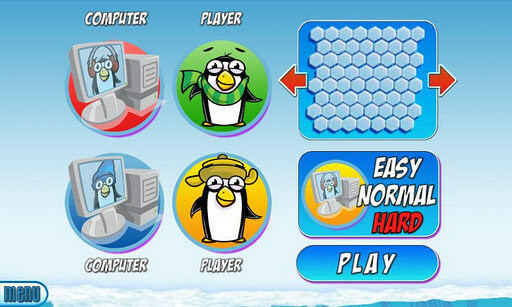 Control of the game is very simple and is carried out by the clicks (first on the penguin, and then the selected cell). 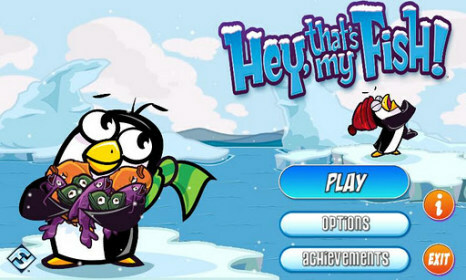 The whole gameplay is accompanied by fun music and shouts of penguins.